Commands and Subsystems each are created as classes. The plugin has built-in templates for both Commands and Subsystems to make it easier for you to add them to your program. 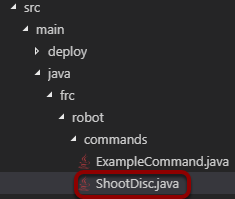 To add a subsystem, right-click on the desired folder and select Create a new class/command in the drop down menu. Then select Subsystem or PID Subsystem. Fill in a name for the subsystem. 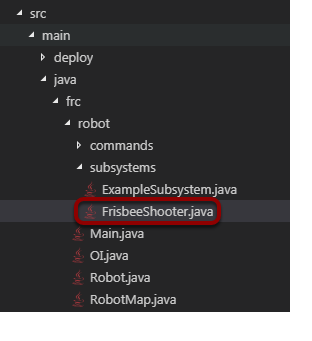 This will become the resultant class name for the subsystem so the name has to be a valid class name for your language. You can see the new subsystem created in the Subsystems folder in the project. To learn more about creating subsystems, see the Simple Subsystems article. Trigger - A command that is easily tied to a button input on a joystick. Enter the Command name into the dialog box. This will be the class name for the Command so it must be a valid class name for your language. You can see that the Command has been created in the Commands folder in the project in the Project Explorer window. 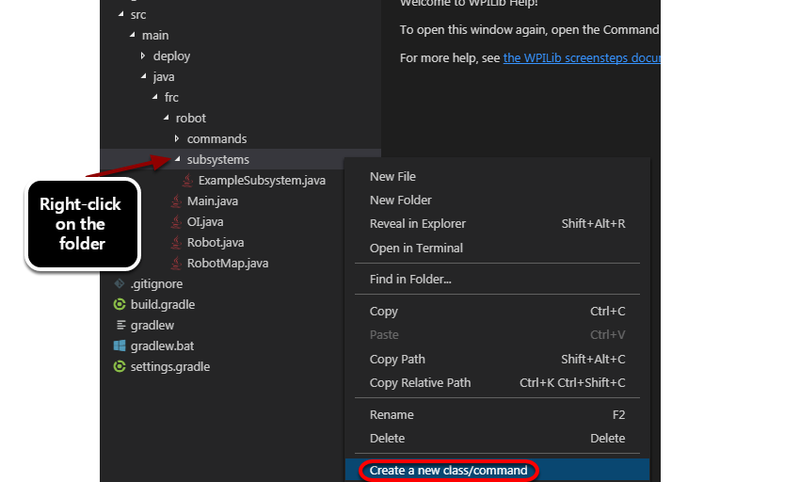 To learn more about creating commands, see the Creating Simple Commands article.